With headaches, it can be difficult to know what the root cause of your pain is. So here are three types of primary headaches that many suffer from. Many people suffer from migraines for unknown reasons. Genetics and hormones can be to blame, and women are three times more likely to suffer from migraines than men. But the root cause of migraines is still unknown. Still, there are numerous migraine triggers. These are the most common types of headache and are caused by muscle tension in the head or neck. Often, this tension is a result of stress, injury, or poor posture. If you can accurately locate what tension is the cause of your headache, you may be better able to prevent or treat it. 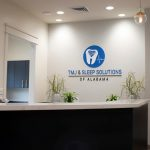 Contact TMJ & Sleep Solutions of Alabama for more information on chronic headaches, myofascial pain, and our various treatment options.